Dimensions: 2.5″ x 3.5″; poker size playing cards. Cards come in a simple & elegant cardboard box. 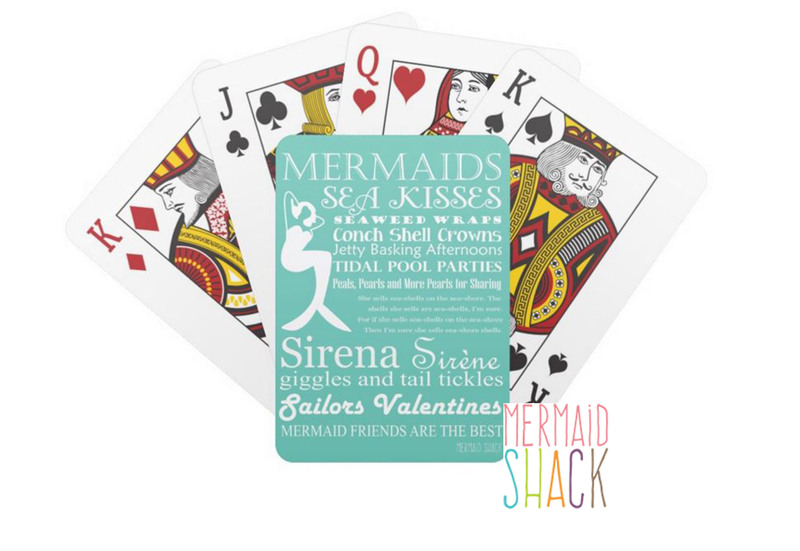 Mermaid Kisses and Sailors Valentines are only two the sayings on these Whimsical Mermaid Playing Cards. How about a game of Go Fish? Wonderful stocking stuffer, hostess gift or teacher’s gift. Mermaid gifts are always appreciated. Original Mermaid Art by Mermaid Shack.